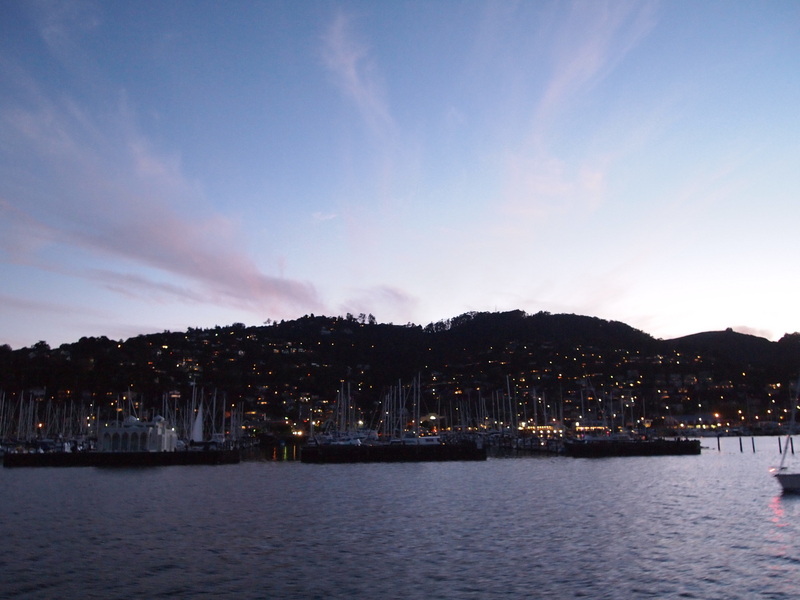 Sausalito is such a lovely town. Bike across the Golden Gate Bridge or take a ferry from San Francisco, stroll along its waterfront, check out the shops, have lunch at Scoma’s or grab a burger and fries at Hamburgers, maybe an ice cream at Lappert’s or a drink at No Name bar, and you’ve had yourself a pretty darn good day. But venture off the well-traveled tourist path of downtown, and you’ll find some of the best of what Sausalito, and Marin County, has to offer. Caledonia St. is where locals gather, especially at the excellent 1) Sushi Ran found here, what some aficionados consider the best Japanese restaurant in the Bay Area. Or enjoy a sandwich on the back deck of 2) Sausalito Gourmet Delicatessen. And if it’s still south of 2:30, head to 3) Fred’s Place for the deep-fried french toast and other indulgent breakfast items. 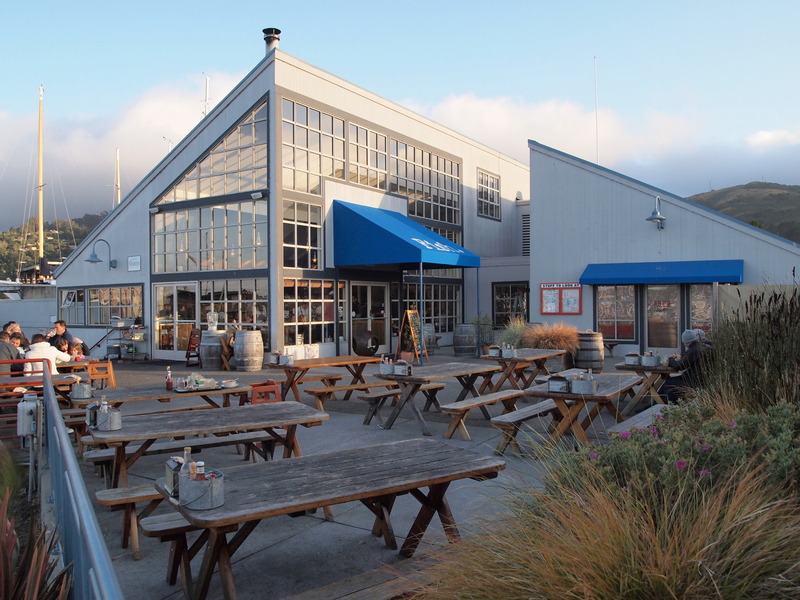 The most notable edition to the local scene is 4) Bar Bocce, located on Bridgeway (the main drag through town) and set along the marina with views of San Francisco across the bay. The menu is modern California-Italian (Cal-Ital? ), with wood-fired sourdough pizzas, Marin garden salads, cask wines on tap and a nice selection of regional beers. Just as enticing is the outdoor patio encircling a fire pit, and a bocce ball pit beyond. It’s a great way to spend an afternoon as it blurs into the evening, though bring a jacket in case the fog rolls in. Two buildings up from Bar Bocce is 5) Wellington’s Wine Bar, another ideal gathering place with an outdoor deck overlooking the marina, and an always interesting selection of wines. The place has a tasteful nautical theme, which works considering there’s a boat launch outside the door. It’d be a good wine bar anywhere, but its location makes it a destination. At the north end of Sausalito you’ll find one of my favorite seafood places. The aptly titled 6) Fish is a fun, simple (though somewhat pricey) eatery that’s hard to find if you’re not local. It’s located in Clipper Yacht Harbor at the end of Harbor Drive, set on the water with seabirds and sailboats bobbing just beyond the railing. Order at the counter, and carry your plastic tray and mason jars filled with beer or wine to one of the picnic tables inside or out. If it’s chilly out, grab one of their heavy quilt blankets to drape over your legs. The menu is rustic foodie-friendly and just fancy enough, with items such as ‘white anchovy bruschetta’ and ‘Tuscan white bean and tuna salad’, along with staples like fish and chips and fish tacos. A bonus: Fish is a member of Seafood Watch Alliance, and only sells sustainably caught or farmed seafood. At the opposite end of the town are two unique places in one of the Bay Area’s most stunning settings, a stones throw from Golden Gate Bridge and offering million-dollar views of San Francisco. 7) Cavallo Point resort is a former military fort set on national park lands, and includes the award-winning Murray Circle restaurant, which uses local organic ingredients. If you’d prefer to enjoy that view on the cheap, then walk over to the 8) Presidio Yacht Club for drinks and the occasional live music.